Rubber and steel is in plain view everywhere around us but oftentimes goes unrecognized. They’re in your headphones, work boots, car seats, the tracks of your excavator, and many other daily items you use but rarely consider what they’re made of. When it comes to purchasing tracks for your vehicle, many factors must be taken into account. Considering whether to buy steel or rubber tracks for your mini excavator is a big decision. Money is a crucial factor in the decision-making process but there are other considerations that may influence the final purchasing outcome. Here are pros and cons for each option. Staggered Block Tread is a tread style designed for paved highways and gravel and doesn’t cause much damage to lawns. The Multi-Bar Tread is a rubber track that provides its operator excellent traction in a wide variety of terrains including freshly fallen or loosely packed snow. The C-Lug tread offers great traction in many different kinds of surfaces due to its C-shaped notches in each block. Lastly, the straight bar thread tracks are best known for the ideal traction they provide in rough terrain. 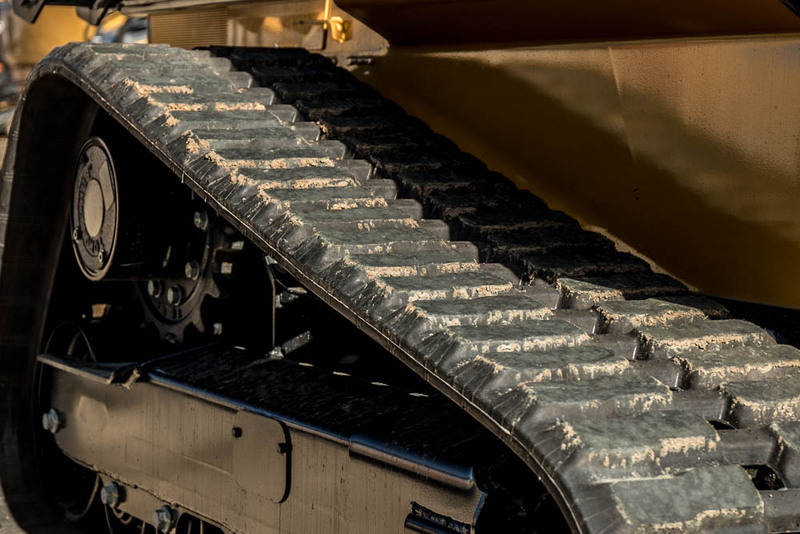 This tread pattern option will offer excellent maneuverability in muddy and rainy conditions and will make your JCB, Case or Kamatsu less likely to ever get stuck. 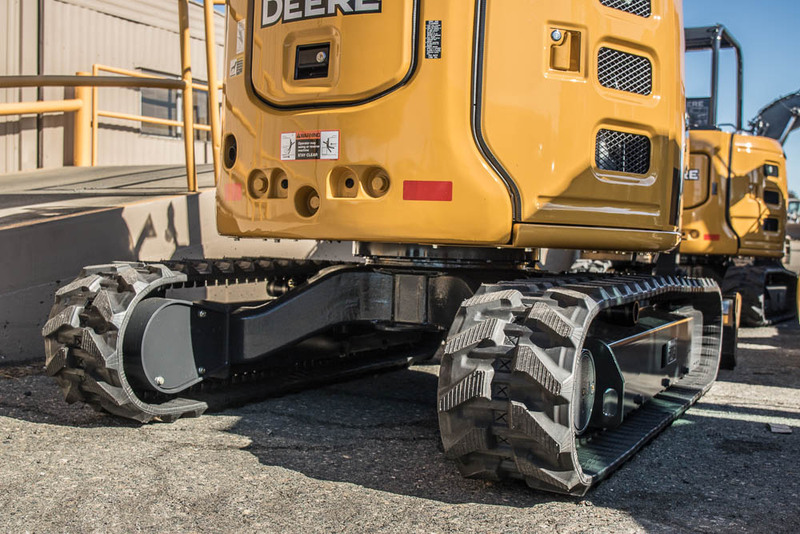 Steel tracks are a popular choice for skid steers because they are easy to keep from corroding and handle heat and pressure well. There are probably far more supporters of steel tracks than there are detractors because at the end of the day, steel tracks are an excellent product regardless of these few less-than desireable points we are about to share. Once again, budget, terrain, and application are the determining factors on whether the steel tracks are a good option for you. Steel tracks do offer the best traction but that comes at a price. They will tear up whatever ground they come in contact with. When choosing a set of new tracks for your mini excavator or skid steer you must take measurements of its steel shoe width. Also, measure the inner guide of the steel chain and use the manufacturer supplied documentation to assist with measurement. 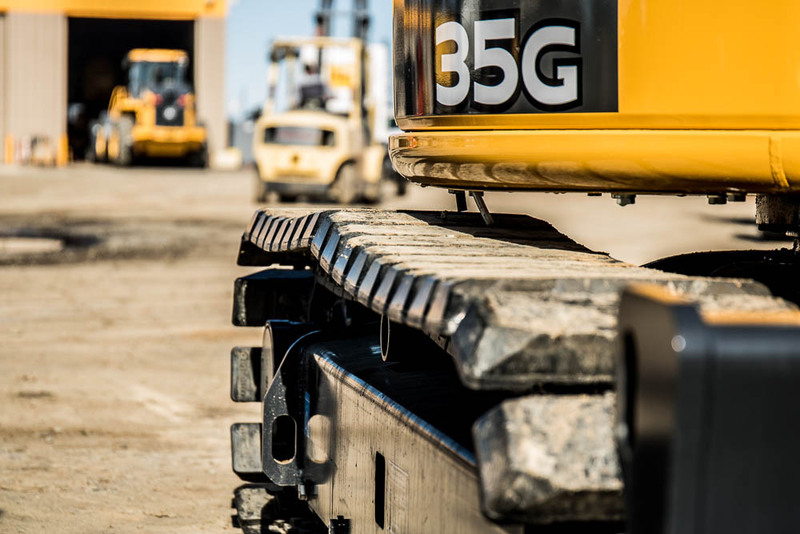 Excavators or skid steers equipped with steel tracks perform great in agricultural, forestry, construction, demolition, recycling, and waste management applications. Steel tracks are great for job sites where broken glass, chemicals or chunks of concrete can be common obstacles. Rubber tracks often times won’t deliver as good of results in these conditions especially if sharp debris are abundant. When it comes to making a purchasing decision on whether to go with steel tracks or rubber tracks, the pros and cons should be weighed. Having all the information will aid you in making a fully informed decision that will result in the ideal outcomes you seek. Contact Monster Tires at 530-292-6400 if you require any additional questions to be answered, our customer service representatives look forward to helping you. This entry was posted in Caterpillar, Mini Excavator Tracks, Over The Tire Tracks, Rubber Tracks, Skid Steer Tracks. Bookmark the permalink.